Augmented reality headsets with depth sensors, like the HoloLens, offer a much more immersive experience than the average smartphone at present, and one app demonstrates that in a uniquely entertaining fashion. 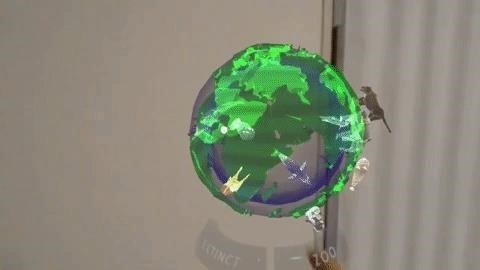 ZOOO, currently available on the Microsoft Store for $4.99, uses the environment-mapping capabilities of the HoloLens to display 3D models of animals rendered at real-world scale, with impressive detail. The app is intended to be more of an entertainment app than an educational one, providing thirteen animals for viewing, including four extinct species. To select an animal to view, users are presented with a 3D globe that floats in the user's view and can be spun with hand gestures. Animal avatars appear on the globe based on their native habitats, with their height and weight listed above their avatar. a crocodile), while others perform an assigned action. Water-dwelling animals will "swim" around the room, the koala eats leaves, and a pufferfish inflates when tapped (some the animals also make sounds). 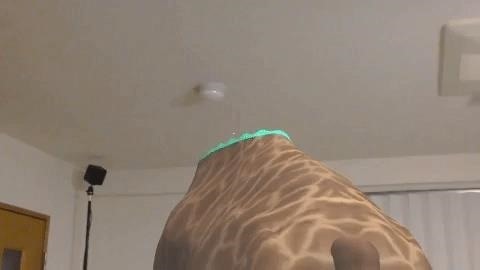 The app also takes advantage HoloLens's the room-mapping function to accentuate the size of certain animals. For exmaple, a giraffe's head will break a hole in a ceiling. An elephant, because the average residential floor is not engineered to accommodate its heft, will cause the floor to collapse. And a Tyrannosaurus rex crashes through your wall because, well, he's a T-rex. The way the animals react to their environment (or, rather, how the virtual environment reacts to their presence) is something that can't be accomplished with software-based mobile AR toolkits. However, that could change soon. The app's developer, Kazuya Noshiro, told Next Reality that he's planning to adapt the app for iOS with ARKit 1.5, which will bring vertical surface detection capabilities to iPhones and iPads this spring. 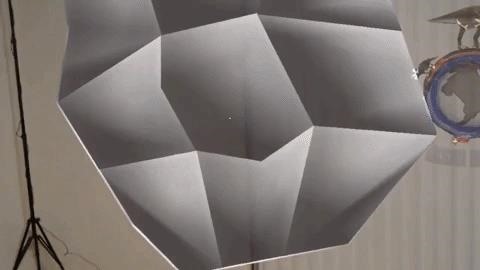 It remains to be seen how the experiences made possible by the depth sensors of the HoloLens will compare to the software-based surface detection of ARKit when vertical surfaces come into play. But, for now, we have at least one app to keep an eye on that could point the way toward immersive educational experiences of the future.